Target Liberty: Is It Time For a Rigorous Opposition to State Power? Is It Time For a Rigorous Opposition to State Power? The always provocative Justin Raimondo, longtime editor of Antiwar.com, has a new column in Chronicles Magazine that asks a very simple question: Whatever happened to the libertarian movement? the multifarious disagreements over what "libertarian" even means at this point. This may be the natural result of growth; more people means more disagreement over principles and terms. But is libertarianism really growing on a per capita basis in the US, outpacing population growth? Depending on the source, libertarian-ish Americans are anywhere from a discouraging 2% to an optimistic 20% of the electorate. If in fact liberty-minded people represent only a single-digit percentage of all Americans, we may face a reality described by Lew Rockwell as "the smaller the movement, the greater the factions within it". The Three Pillars of the libertarian platform—economic freedom, civil liberties, and a noninterventionist foreign policy—were practically uncontested. While no one could accuse us of avoiding internal debates over abstruse issues that were of interest only to committed ideologues (it often seemed to me as if libertarians did little else! ), we basically knew what we believed. Not only that, but we stuck to it. There was talk of “transitional programs,” and debate over which issues to emphasize, but there was a basic unity of vision in that none of us ever sought to justify any extension of state power. We didn’t side with the state. We saw ourselves as radicals, with the Establishment on the other side of the barricades being typically corporate liberal. This conception of libertarianism gets it right, in my view. War and peace, central banking, and state power (i.e. civil liberties, spying, taxes, regulations, drug war) are the three areas where libertarians should agree. And a focus on these fundamental and timeless issues eliminates many questions about cultural preferences, Left vs. Right, and "thick vs. thin." It is precisely when we veer away from core concern that libertarians get into trouble, as Raimondo posits. Watering down the non-interventionist message, fretting over RussiaGate or gay marriage, siding with intelligence agencies, and jettisoning the primary focus on coercive statism has left the movement watered-down, listless, and unrecognizable. 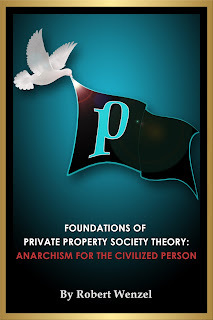 The last remnants of the Old Libertarianism—the wonderful folks at the Mises Institute, the Ron Paul groups—are doing a great job. But I’m afraid that their role, at this point, is to keep the Remnant intact, and hope for better days to come. The ideological degeneration of “official” libertarianism is not only far advanced but a threat to the future of liberty itself. The sheer insanity of a “libertarian” siding with the most unaccountable and coercive sectors of the state apparatus, the “intelligence community,” in their quest to overthrow a sitting President is something I would have thought inconceivable. But that was back when the world made sense. Now, the “libertarians” are either clowns or apologists for power. 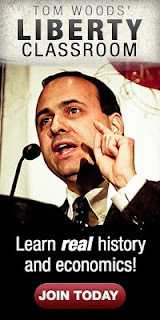 It's nice of Mr. Raimondo to praise the Mises Institute. But his thesis, that liberty is in a holding pattern against the dominant political powers of Trumpism, progressivism, SJWism, and neoconservatism, is worthy of consideration. Do we water down the message to grow, do we engage in politics, do we "whisper in the ear of the king," as he puts it? There are arguments to be made for political educational, and cultural strategies. The late Murray Rothbard certainly advocated a multi-pronged approach. But given recent attacks on the Koch brothers as the source of all evil on campuses, and even against the soft sell of "classical liberalism," it's time to consider what exactly is advanced by steering libertarianism away from a rigorous opposition to state power. That liberty is in a holding pattern against the dominant political powers of Trumpism, progressivism, SJWism, and neoconservatism, is worthy of consideration.